Philanthropic by nature, learn about how Harvard gives back to the community and how you can help, too! For Harvard's 10th birthday, he had a pawesome birthday party and a successful fundraiser, and we donated $675 to Massachusetts Vest-A-Dog to prepare three K-9 First Aid Kits for the Boston Police Department K-9 Unit! For his 11th birthday, he hosted another birthday party fundraiser to help animals receive the medical care that they need and deserve, and we donated over $1000 to the MSPCA Pet Care Assistance program and to SamUrgency! Harvard was so inspired by everyone's help with battling his cancer that this year, to celebrate Harvard's 13th birthday, Harvard wants to help pets in need of medical care who's caretakers are in need of financial assistance to help cover the costs of medical expenses. To help give back to the pet community even more, we are starting a non-profit charitable organization, Harvard Dangerfield's Pawsitively Pawesome Charity, to support and help our fluffy and furry friends! Our first donation will be towards SamUrgency. You can help by donating here: Harvard Dangerfield's 13th Birthday. SamUrgency was formed as a non-profit organization to provide monetary assistance for emergency medical expenses for rescue Samoyeds and Samoyed mixes in urgent need of medical care without which their lives would be in jeopardy. 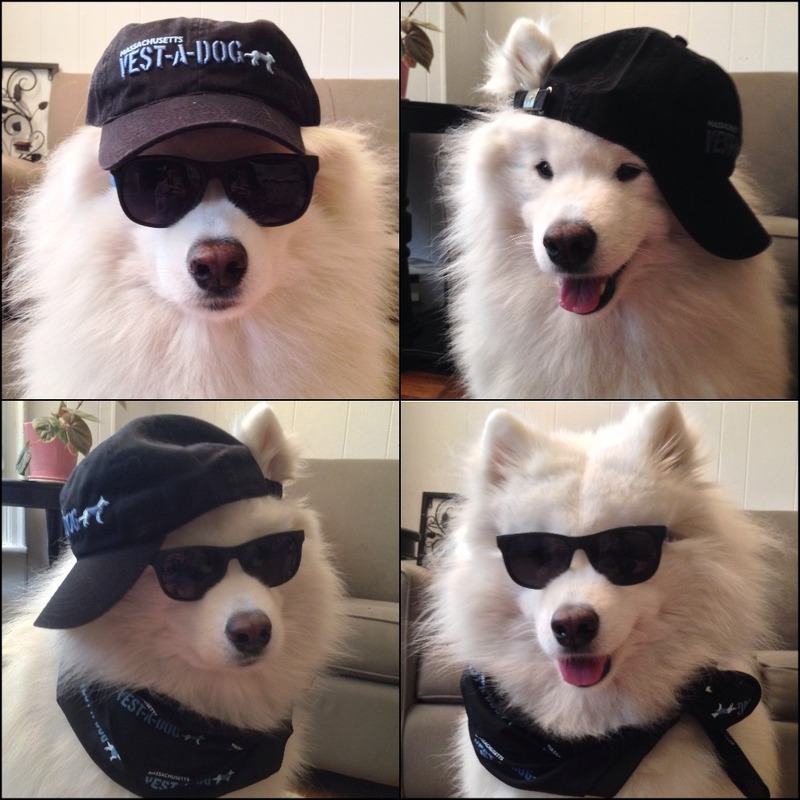 In 2011, SamUrgency established the Kachina Fund to provide financial assistance for medical expenses for Samoyeds. Where: Join Harvard to celebrate his 13th birthday in the Boston Common near the carousel! Treats: Pawty treats donated by Wellness Pet Food and pawty favors donated by Slobbr! In addition to the fundraiser, we will be collecting new or gently used blankets, towels, and toys to donate to the Animal Rescue League of Boston! With your generous support, Harvard Dangerfield's Pawsitively Pawesome Charity will give back to the pet and animal community. Thank you for your love and support! To celebrate Harvard's 12th birthday, we raised almost $3000 to split between the AKC Canine Health Foundation to support the research towards the prevention, treatment, and cure of dermatological diseases and cancers, and to defray veterinary costs of Harvard's treatment for malignant trichoepithelioma. There are many pets in need of medical care who's caretakers are in need of financial assistance to help cover the costs of medical expenses, and so for Harvard's 11th birthday, in 2015, we helped pets in need receive the medical care they deserve. Harvard's friends and fans helped raise $1000 for MSPCA’s Pet Care Assistance program to benefit patients treated at the MSPCA-Angell Medical Center and SamUrgency to help rescue Samoyeds as well as non-rescue Samoyeds. 1. to support medical care at Angell Animal Medical Center for sick or injured animals whose owners have limited financial resources. to support the medical care of abused or neglected animals connected with Law Enforcement efforts. to support the medical care of homeless animals in MSPCA adoption centers. Trying on K9 bullet-proof vests! For Harvard's 10th birthday, in 2014, Harvard organized a Boston K-9 First Aid Kit Fundraiser Pawty and raised $675 for Boston Police K9 First Aid Kits! With the help of Harvard's friends and fans, and Massachusetts Vest-A-Dog, three K-9 first aid kits were donated to the Boston Police Department K-9 unit! Boston K-9s encounter dangerous and potentially harmful situations often, and K-9 First Aid Kits contain the materials needed to provide immediate care to injured police dogs while in the field.